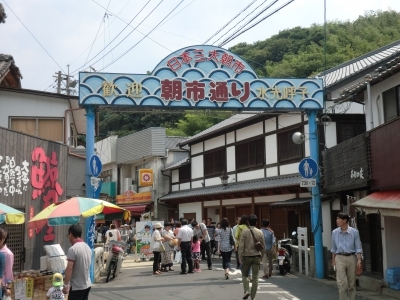 Yobuko is known for its fresh squid! 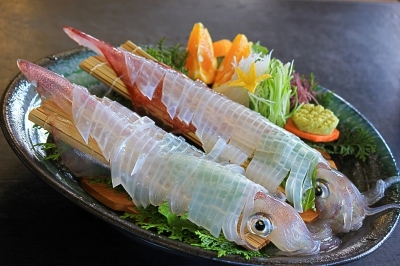 Try the live squid, a local specialty of Yobuko! Also, let's get up a little early in the morning to go to the market, and then take the "Ika Maru" ship to cruise around the Nanatsugama Sea Caves. Marinepal Yobuko mainly operates two sightseeing boats; Zeela is a marine observatory boat which allows you to take in the underwater scenery with the fish swimming naturally on the current . 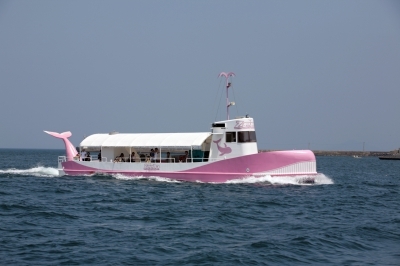 Ikamaru is a sightseeing boat which cruises around Nanatsugama sea caves. 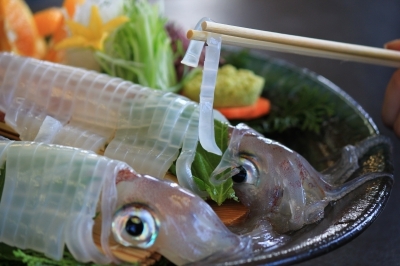 Live squid sashimi of Yobuko is transparent and has the melt-in-your-mouth texture. It is sweet in taste. You can enjoy the leg part in 2 ways; grilled with salt or fried (tempura). Nagoya Castle was built as a base from which soldiers were dispatched to Korea when Toyotomi Hideyoshi invaded the country. 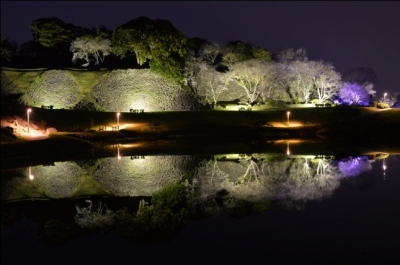 The castle site is 17 hectare and back then was the second largest castle following Osaka Castle. Over 130 encampments of the vassal warlords were installed in the area around the castle at the time and attracted over 200 thousand people from around the nation.